Daisy McDare-interior Decorator LOVES what she does! She also LOVES Chocolate and any kind of pastry. Luckily for her her best friend's grandmother owns a pastry shop--well her best friend now owns it--but Granny is there every day! 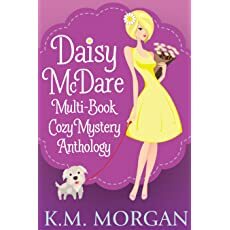 So is Daisy---everything is going wrong in her love life--her ex dropped her for someone else--big problem--how will she ever be able to let her dog run in the park anymore--this of course calls for more pastries and chocolate! She got a call from an old friend who married money--big money--and was hired to re do one of the rooms in the mega mansion. Daisy is in heaven--until she realizes that her friend may have money but is really not very happy. Her adult step kids hate her (and they live in the house)-her husband is kind of distant--he is an artist--then the unthinkable happens--the husband is murdered. 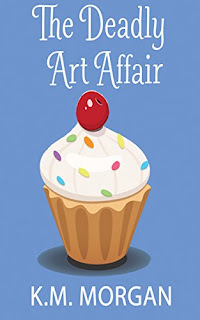 This is an easy going kind of cozy mystery which kept me interested. I wasn't really sure who the murderer was--until it was revealed.